High students in the United States are evenly split on their favorite smartphone – and they have made it clear which platform they won’t be on. The TutaPoint / Admitted.ly 2014 fall student survey was conducted between September 3 and September 12, 2014. Students reported that they overwhelmingly have chosen either Android or iPhone (iOS) as their smartphone. That leaves both Blackberry and Windows smartphones left out. 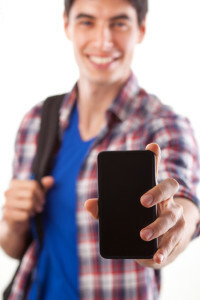 Students surveyed indicated that 31% of them had an Android smartphone. 31% of students indicated they had an iOS iPhone. Just 2% of students reported having a Windows smartphone. As for Blackberry? Not even 1% of students surveyed indicated having one. For full results of this survey, click here.